What Have You Done With Our Country ? I don’t recognize this place. Am I in Augustus’ Rome? I see a clearly delineated Patrician class (politicians, leaders of industry, the “press”) and a clearly delineated Plebian class (all the “unwashed” worker bees) anxiously awaiting their treats delivered through the generosity of the Patricians! From its inception, your education system was designed to stifle individual thought; the very character that forged our country – Rugged Individualism! People thinking and doing on their own! The belief that with grit, work, determination and the help of God, a man can do anything! That’s no good! They needed worker bees – bees that will sit at a station and replicate the same task over and over and be satisfied doing it! We can’t have people running willy-nilly, trying to build their own fortunes, regardless of how small, – attempting to feed, house and protect their families ON THEIR OWN! They must need us and be willing to subjugate themselves to us because WE KNOW BETTER THAN THEY WHAT THEY REALLY NEED! 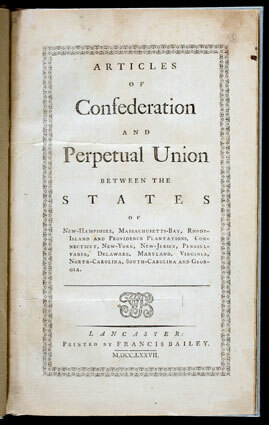 Do you know that when we started our great nation, our Articles of Confederation (so named by Dr. Franklin and our governing guide from our collective declaration of our independence up to the inauguration of General Washington in 1789, a period of almost 14 years) gave NO power to the Congress to tax! What has happened? It is simple; for decades and decades you have abdicated your responsibilities! Your responsibility to choose your leaders. Do you vote and if you do, how much effort do you put into learning the TRUE stance and motivations of the candidates or the issues. Who educates your children- the State? Who protects you from evil people – the State, alone? Who provides for you in your time of need – the State? Do you know how many of our Signers, who because of their patriotism, died or ended in abject poverty or do you think of them as a “bunch of rich white guys”? How utterly untruthful and utterly disgusting! Liberty without responsibility is nonexistent! It is a charade projected to surfs by their lords! “Is life so dear or peace so sweet as to be purchased at the price of chains and slavery? Forbid it Almighty God! I know not what course others may take but as for me, give me liberty or give me death!” My friend, Mr. Henry, said that. What are your chains and slavery? Complacency, Abdication, Procrastination; they will lead to the incessant creep of the overpowering Central Government, like an ominous, death inflicting fog, seeping over our Country! I was born on September 27, 1722, in Boston, Massachusetts. A strong opponent of British taxation, I helped formulate resistance to the Stamp Act and played a vital role in organizing the Boston Tea Party. I was a second cousin of U.S. President John Adams, with whom I urged a final break from Great Britain. I was a signee of the U.S. Declaration of Independence. 2 Responses to What Have You Done With Our Country ? What did you expect? The country, the world, people, procreation and all that goes with it to stand still. Have you noticed that the world does in fact turn on it’s axis?Do you know what will happen in axix 2300?